There's no doubt that Sandals Resorts in the Caribbean is the honeymoon destination of choice for many couples. If you've looked into a Sandals Resort honeymoon but put off purchasing tickets then don't wait any longer. Like it says, each Sandals' All Inclusive couples-only resort has been designed to fulfill and exceed every need and wish that two people in love could ever possibly have. 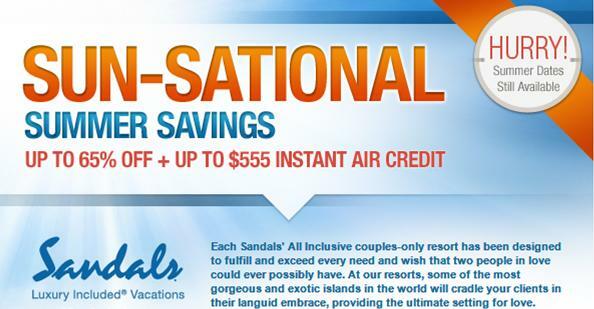 If a Sandals honeymoon is what you're looking for, then give us a call and we'll fill you in on the special pricing available to newlyweds right now.